1) Mix heavy cream and cream cheese on medium speed for about 6 minutes until it turns fluffy. 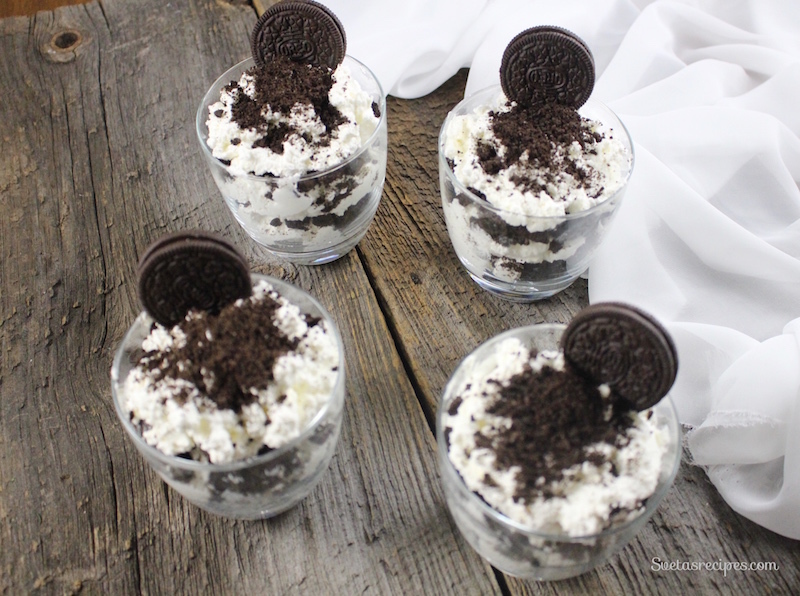 2) Take out all the fillings from all of the Oreo cookies and put into a bowl. 3) Add farm cheese and mix well . 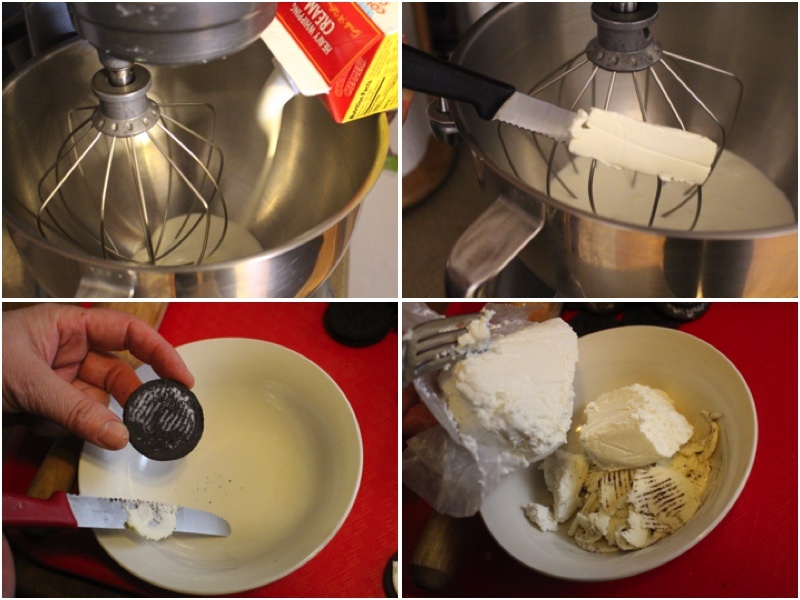 4) Add the farm cheese mixture (and heavy cream mixture ) into the mixer bowl and mix well on medium speed. 6) Take a tablespoon full of the mixture u just made and add into every cup. 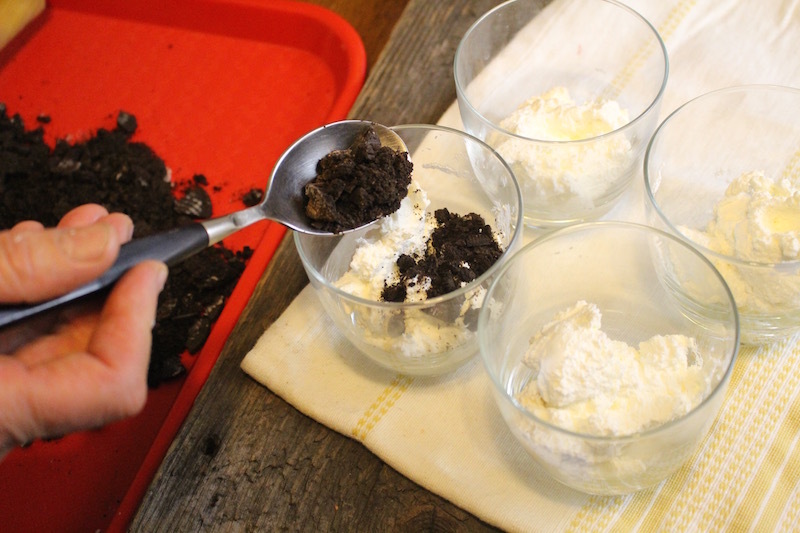 Then sprinkle a table spoon of crushed oreos and then repeat until you fill up the cups to the top. 7)On the top to decorate i added an Oreo in each cup. Very easy to make and is beyond delicious. Mix heavy cream and cream cheese on medium speed for about 6 minutes until it turns fluffy. 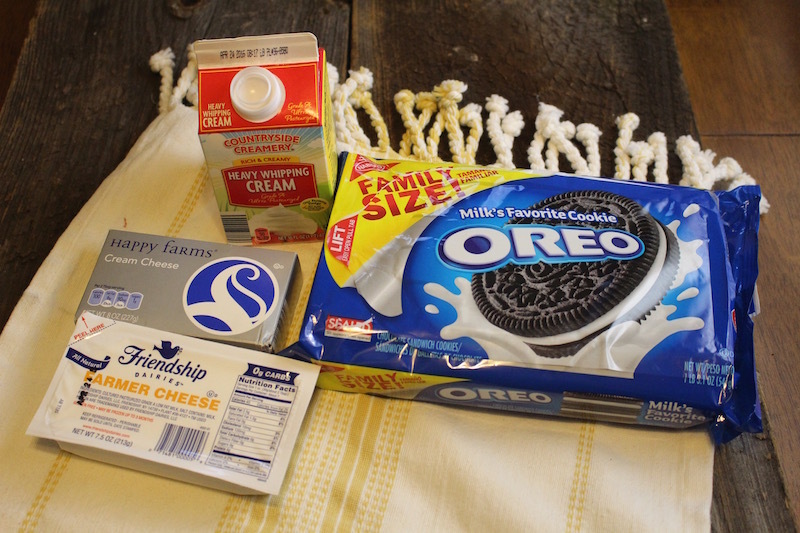 Take out all the fillings from all of the Oreo cookies and put into a bowl. Add farm cheese and mix well . Add the farm cheese mixture (and heavy cream mixture ) into the mixer bowl and mix well on medium speed. Take a tablespoon full of the mixture u just made and add into every cup. 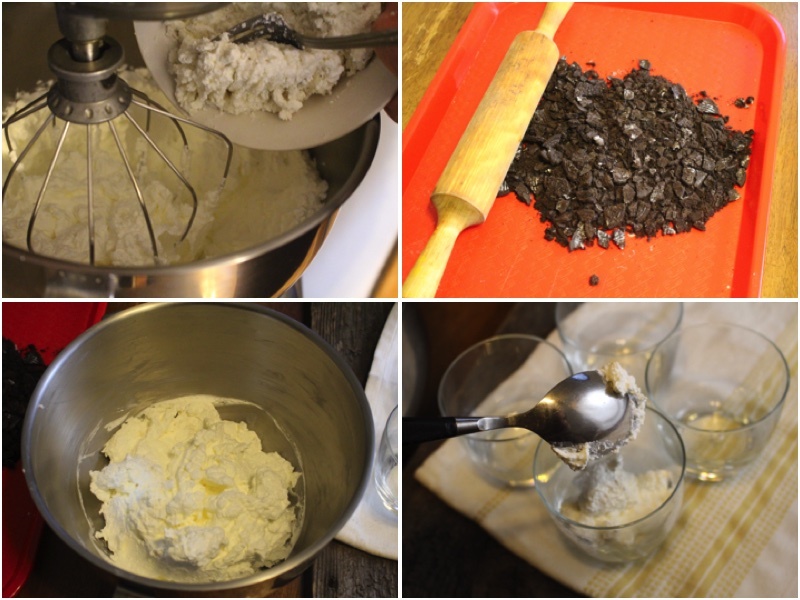 Then sprinkle a table spoon of crushed oreos and then repeat until you fill up the cups to the top. On the top to decorate i added an Oreo in each cup.